Mohammad Yousuf at the press conference where he announced his retirement from international cricket. 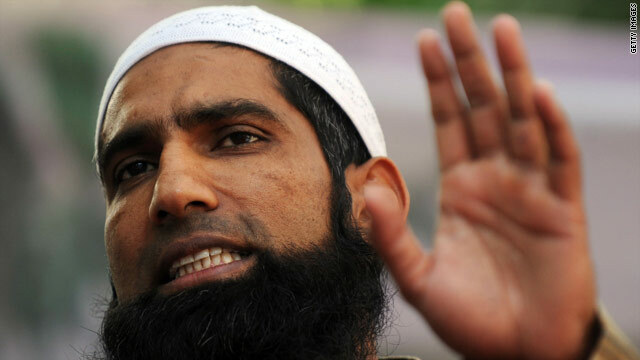 (CNN) -- Former Pakistan captain Mohammad Yousuf has quit international cricket after he was hit with an indefinite suspension. Yousuf was given the ban earlier this month by the Pakistan Cricket Board (PCB) after they launched an inquiry into a winless tour to Australia. The 35-year-old and Younus Khan were accused of "infighting" while seven other players also received bans. A story on the PCB's official Web site quoted Yousuf as saying: "The level of support shown to me since the ban by the fans has really touched me and I appreciate all the messages of support I have received. I am disappointed with my treatment by those in authority. "I will always remember the backing of the fans, and the support from my family and my friends at this difficult time. "It was never my intention to suddenly stop playing international cricket like this and I feel that I still have 2 or 3 years international cricket left in me and could have gone on playing for Pakistan. "I always wanted to retire when I felt the time was right and not for it to be dictated to me. I feel physically fit and feel that I could have served the nation well for at least the next couple of years, but I guess it wasn't meant to be. "I have no issues or axes to grind with team mates, however I am disappointed with my treatment by those in authority and that is the reason why I want to retire from international cricket." Yousuf made 7,431 runs at an average of 53.07 in his 88 Tests. He also scored 9,624 runs in 282 one-day internationals.